For an uproarious and thoroughly engaging movie-watching experience, it's hard to beat Bringing Up Baby previously recommended here. The antics will begin on TCM Sunday, October 9 at 3pm PST. A memory-suppressed traumatic occurrence in Nancy's childhood is responsible for her aberrational, criminal and possibly murderous adult behaviour in a film whose Freudian-like theme is symbolised by its title: The Locket. A year earlier Alfred Hitchcock utilised a similar plot device in 1945's Spellbound and subsequently Psycho and Marnie. Unlike the Hitchcock films, however, the referential incident portrayed in John Brahm's psychological melodrama is far less blatant, not as dramatically embellished and therefore more enigmatically connected to our heroine's personality. Even after the link between the past and present circumstances is revealed, mystery abounds in this dream-like film noir due to its elliptical storytelling style, complex characters, and their actors' subdued but highly effective performances. 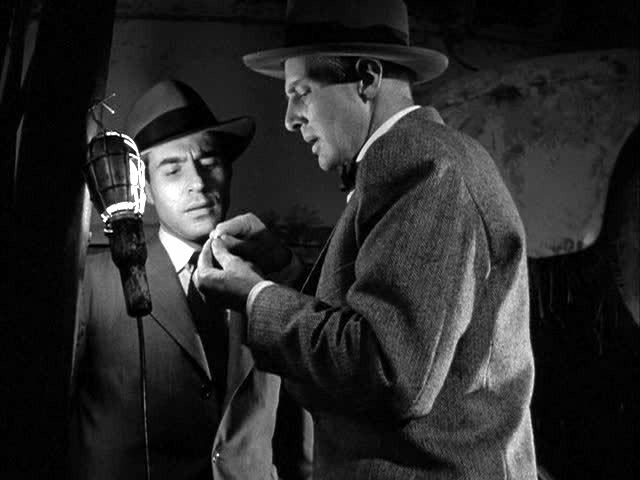 Notorious for its flashback within a flashback within a flashback structure, The Locket's cyclic finale, beautifully photographed by one of noir's favourites Nicholas Musuraca, also boasts of equal stylistic proficiency, importance, and dramatic impact. In fact, the filmmakers present their story as an imaginatively interpreted past, creating an illusory effect almost as if the characters were floating on fate to their predetermined destinies. The Locket can be discovered (updated) on Friday, November 2 at 3:15pm PST. Later Thursday evening is another RKO produced tale about an individual strongly influenced by a childhood experience, one which is mysteriously connected to an emblematic object. In addition, the adults in both stories are described in a complex series of flashbacks through the different perspectives of those who knew them. Citizen Kane, one of the Top Ten World Cinema Treasures is a previous TCM recommendation here. His story will unfold October 13 at 10:30pm PST. Is this next TCM offering a ghost story detailing the frightening possession of two children at an English countryside estate? Or is it a psychological study of simmering madness, resulting in the imaginary projections from their newly appointed sexually-repressed Governess? Or perhaps both? Even by The Innocents' devastatingly shocking conclusion, one cannot be sure. One thing is for certain. Films of either persuasion don't get any better. This is primarily due to the highly sophisticated and cleverly adapted screenplay of Henry James' classic novella The Turn of the Screw by William Archibald, Truman Capote, and John Mortimer, where the writers perform their own subtle "turn" on the source material to create a disturbing atmosphere of illusionary dread and danger's uncertain source, heightening the portrayed events to terrifying proportions. The filmmakers have accentuated this unsettling ambiance by creating an intriguing role-reversal dynamic. Due to the Governess' sheltered past, it is she who displays the most childlike curiosity toward those in her care, and the two children, perhaps due to ghostly influences, who exhibit an inappropriately adult-like sexual confidence and dominant attitude. Britain's Jack Clayton, who previously helmed Room at the Top, was the perfect choice to direct. He utilises a respectful, straightforward literary approach and masterfully procures natural but substantive performances from his cast, especially Deborah Kerr as Miss Giddens, the newly hired, progressively unhinged Governess. In fact, Kerr's performance is one of cinema's most highly emotive yet realistic and organically derived displays of thespianism ever portrayed. Clayton has been substantially supported by Freddie Francis' highly evocative cinematography and George Auric's precise, impressionistic score. The Innocents proves that the horror genre need not include gory effects and that terror can be just as effectively instilled with ominous ambiguity as by direct association, perhaps even more so. Although the film's title refers to the two children, and possibly the Governess herself, it most certainly won't apply to those who have given themselves over to this absorbing and disquieting film-going experience. Horror's finest representation will appear (updated) Friday, October 13 at 10am PST and will repeat again on Tuesday, October 24 at 5pm PST. From the same director who brought us Citizen Kane comes another kind of cinematic hero (of sorts). Michael O'Hara, like the deeply flawed Kane, is flawlessly played by his creator Orson Welles. Unlike Citizen Kane however, this film fell under its producer Harry Cohn's butchery with considerable footage lost and destroyed forever. Nevertheless what survives is vastly entertaining and not to be missed. The Lady from Shanghai was also previously recommended here and will reappear on TCM Monday, October 17 at 8:30am PST. The more psychologically disturbing, (than monstrously horrifying) 1941 version of Dr. Jekyll and Mr. Hyde has Spencer Tracy in the title role. This was previously analysed here. The Dr. will begin his transformation Friday, October 21 at 5pm PST. 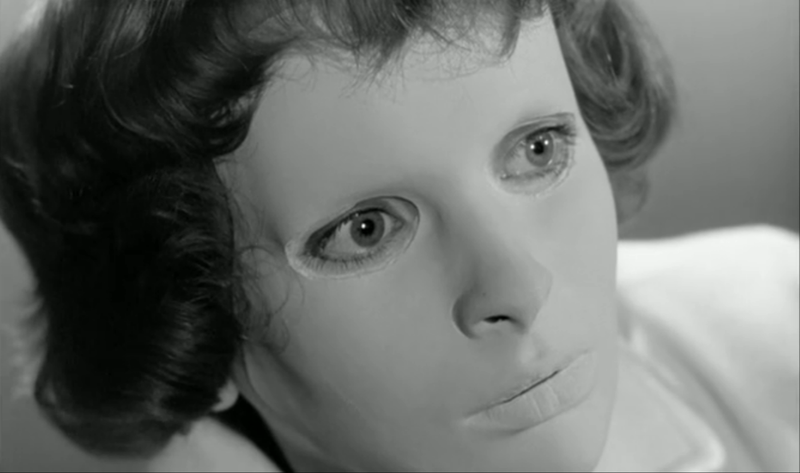 Immediately following Dr. Jekyll and Mr. Hyde comes France's finest entry in the horror genre, Georges Franju's Les yeux sans visage aka Eyes Without a Face. This film is also a previous TCM recommendation here. Although the subject matter is as gruesomely shocking as can be imagined, it rises far above your common slasher flick. Gore is kept to a minimum. The tragedy surrounding its main characters' motives along with their feelings are the focus, the presentation of the events depicted is mature, elegant and refined. The resulting contrast between the horrific choices and their resulting victimised subjects with the shadowy surroundings including the resigned sadness of our title character create a most unsettling and lasting impression. This artistic masterwork can be seen with one's own eyes Friday, October 21 at 7pm PST. A young woman (portrayed as a fetching innocent by Kim Hunter) goes searching for her missing sister (enigmatically played by Jean Brooks) in New York City's Greenwich Village and stumbles upon a satanic cult of devil worshipers putting both of their lives at risk. Mark Robson, who directed a number of these Val Lewton produced gems is himself at the peak of his considerable creative powers. This devilishly striking combination of horror and film noir was a previous TCM recommendation and reviewed here. The fate of both sisters will be determined (updated) Monday, March 20 (early morning) at 4:15am PST.. Here's a short clip: Eerily foreshadowing the shower scene from Hitchcock's Psycho. Also on Saturday is a well-known adventure-thriller I'm not as strongly thrilled about recommending for reasons explained here. In the end, it does have enough spirit and technical bravado to sustain one's engagement and deserves to be seen at least once. Steven Spielberg's Jaws will open wide at 5pm PST. There's one last film noir to include before making the final horror recommendation which can be found on Mystery Street, a previous TCM recommendation here. This CSI noir with a Hitchcockian twist can be checked out Sunday, October 30 at 7am PST. My final TCM recommendation is one of Britain’s finest that just so happens to be a horror film: Dead of Night. This previously reviewed TCM recommendation here concerns a recurring nightmare, set to begin on Halloween Monday, October 31 at 11:30am PST. Steven Spielberg who helped turn Peter Benchley's No. 1 best-selling book into the super-charged mega-hit Jaws, proclaimed John Williams' iconic music as responsible for at least half of the film's success. Many may not be aware that this month's Soundtrack recommendation even exists: A definitive 2 CD release supervised by the maestro himself made by, and available from, Intrada Records. Click on the image for much more information including international ordering direct from the manufacturer. 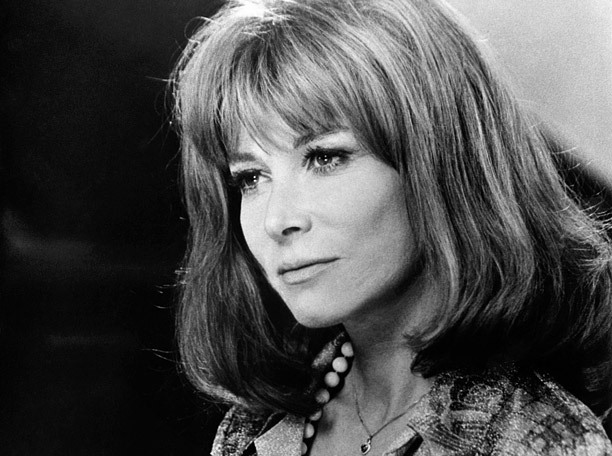 A Happy Birthday shout-out to the fabulous theatrical and motion picture actress, writer, director and producer Lee Grant, who turns 89 October 31st. Some of her most memorable performances can be seen in Detective Story (her film debut), Storm Fear, Middle of the Night, In the Heat of the Night, The Landlord, Shampoo (her Academy Award winning role), Voyage of the Damned and 2001's Mulholland Drive. She also won an Emmy Award for her portrayal of Stella Chernak in the hit TV series Peyton Place (1965 - 1966) and another Academy Award for directing the HBO documentary Down and Out in America (1986). The Blu-ray recommendation for the month is one of TCM's encouraged watchings and reviewed above, The Innocents. By far the best version of this film is from Criterion (region A locked): An immaculate presentation, rich and beautifully detailed. It's not as horizontally stretched (with more information in the frame) than the BFI release in the U.K. I have included a few captures from this Criterion Blu-ray below. For more information, including ordering from Amazon.com in the U.S., simply click on the Blu-ray image.